As Australia’s National University, ANU has a distinct national mission differentiating it from other higher education Institutions. The University’s mandate is to undertake research and study in relation to subjects of national importance. The ANU Vision 2020 commits it to providing a research and study environment that meets the world’s best sustainability practice with the intent that ANU will innovate and lead the global challenge of sustainability. 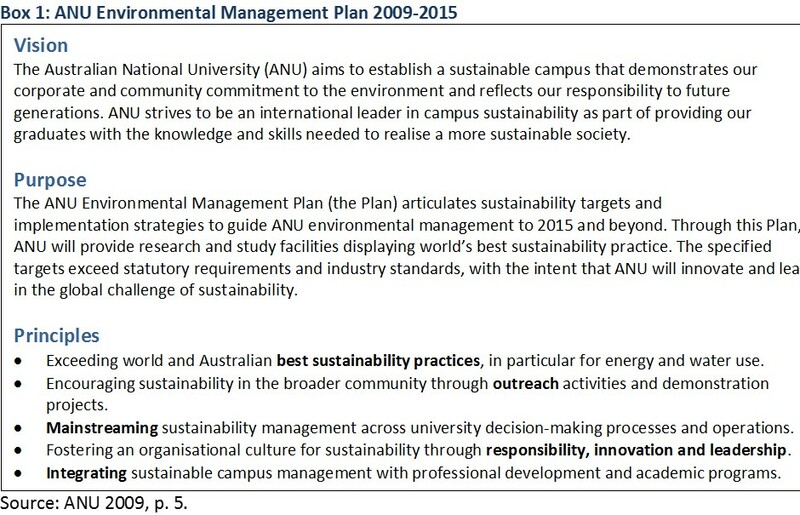 The practical strategies for delivering on this commitment are articulated in the ANU Environmental Management Plan, written by Su Wild-River in 2009. Key aspirational elements of the ANU EMP are in the following table. Reduce energy use and greenhouse gas emissions by 15% by 2012 and 20% by 2015. Reduce total water use by 30% by 2015. Remove potable water from landscape irrigation by 50% by 2012 and 100% by 2015. Reduce waste to landfill by 40% by 2015. Maximise sustainable transport by increasing green commuting to 80% by 2015, and reducing fleet vehicle emissions by 20% by 2015. People: increase awareness, foster engagement and celebrate environmental management successes. Place: use physical features of ANU to save energy and water, eliminate the use of potable water for landscape irrigation, reduce waste and achieve other sustainability goals. Performance: achieve world best practice in resource efficiency, conversion to low-carbon energy use and waste minimisation. 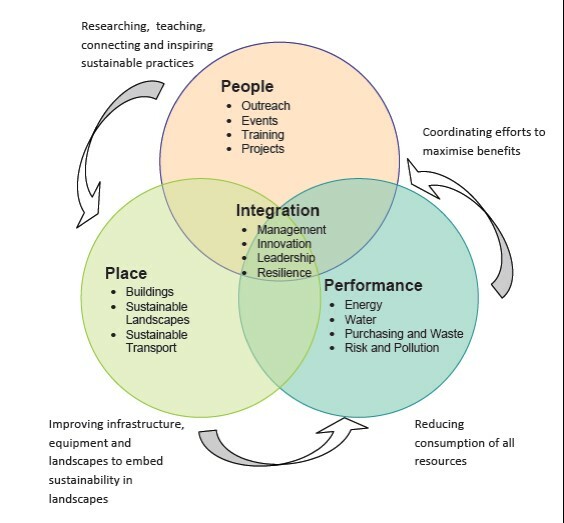 Integration: Develop a world‐class sustainability program built upon innovation, leadership and collaboration between university departments. Environmental risk management programs that reduced residual pollution risk 29%, from 52% in 1998 to to 23% 2013 through a range of training, infrastructure and communication initiatives. A program element of installing high-quality signs on all campus drains to avoid stormwater pollution won a 2010 Sustainable Cities Award for litter prevention..
GreenSteps training program that bridges the gap between knowledge acquired at university and skills required to create positive environmental change. Su incorporated a longitudinal element into the program from 2009-2012, winning highly commended Sustainable Cities Award for Community Action, Partnerships and Culture for this in 2013. Coordination of the ANU Green Funds from 2011 to 2013. Su worked to establish new processes for the Carbon Reduction Fund, developing its forms and terms of reference and initiating a range of projects. Project initiation and approval skyrocketed during Su’s term as Green Fund Board Coordinator. This work was Highly Commended for Energy Efficiency in the 2010 Sustainable Cities Awards. While working as a professional staff member, Su maintained a publication record, and led the Innovation Program to make creative, original contributions to facilities management. She helped progress, and published on the international movement to use campuses as case studies for sustainability studies in higher education. Su was an active contributor to the International Alliance of Research Intensive Universities sustainability program. She managed a project that delivered an on-line tool-kit on how to achieve campus sustainability. 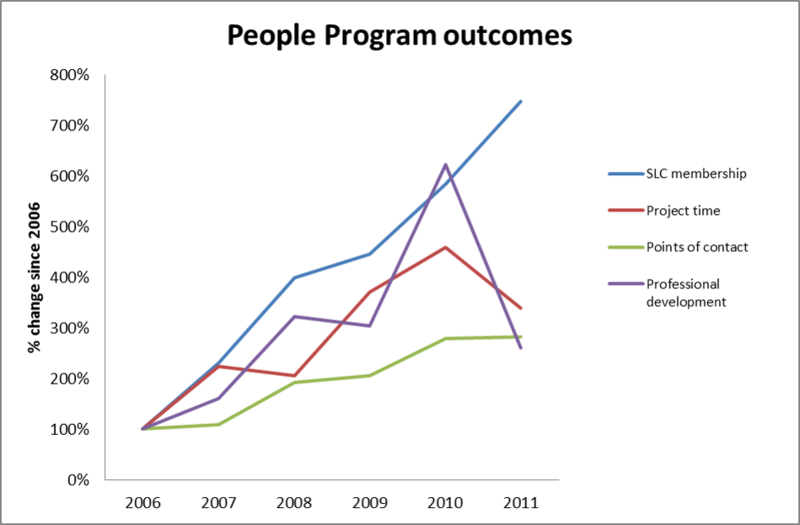 Su devised original performance indicators for the People program and used these to demonstrate progress in engaging the community in sustainability initiatives.